Eight years ago, Doaa struggled with a speech impediment. People could not understand her when she spoke. But that changed after she joined a unique theater group run by SOS Children’s Villages Egypt. Through acting classes, she was able to overcome her speech impediment and today is a trainer for the group. 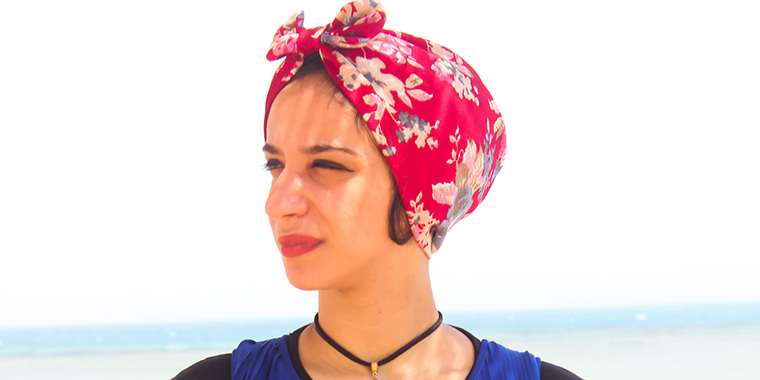 “I think that in general art gives people a new outlook on life, makes them more self-confident and gives them the ability to express opinions honestly and respectfully,” says the 22-year-old, now a social worker with SOS Children’s Villages Egypt where she supports disadvantaged families. The performing arts program, known as the Harakat Artistic Group, gives 150 children and young people the chance to take center stage, enhancing their communication skills and confidence. It is part of the SOS Children’s Villages Egypt family strengthening program. “When we kicked off the program in 2010, our aim was mainly to address children’s behavioral issues through art,” said Manal Badr, an SOS family strengthening coordinator. “We started with theater and choral music. Then we realized that the intervention was very impactful and that the children were very talented.” As a result, more artistic activities such as dancing, pantomime and painting were added. Being part of the group gives children the chance to gain self-confidence as they discover what they can do on stage. They improve their problem-solving and communication skills. Through the group, children and young people are regularly encouraged to explore the problems they face. Each year children present the culmination of their hard work and training in a performance at the renowned Cairo Opera House. Even though 400 people attend the show, in the eyes of the children, the most important public is their family and friends. Abdallah*, a youth member of Harakat, relished the experience of performing there. “The day after my performance at the Opera House, my colleagues brought me a cake and gifts because they liked my performance,” he says. Harakat has also had a positive impact on children’s education, with 80% of participating children seeing improved school results. All those who had completed high school were accepted to university. Doaa, the Harakat trainer, says the program has changed perceptions about art. “In the beginning, my family and friends thought that theater was useless. When they saw how much I developed, they changed their mind,” she says. “The children I train remind me of myself. They all have family problems and they come from difficult environments where art is not appreciated and supported. I try to encourage them as much as I can,” she adds. Top image: Doaa today. Photo: Salma Inani.